Discussion in 'Outerwear' started by regius, Feb 11, 2019. Chr... T2 is $2745 now!? I should've just ordered one a year ago when it was $1000-something. It's 2x T1 / Highwayman price, though! Why??? Why would you be scared to call? Their IG shows lots of seats and boots but not too many (new) jackets. I’d be curious too but I seem to recall you were disappointed with the leather they use? I’m scared, truly, of the way the Bates lady converse with customers/me. Instead of just answering like a normal person about lead tome or leather or whatever, she has this super casual, nonchalant, answer with a question, semi-judgmental, semi-interrogation tone..., I’m like, what’s so hard to tell me the current lead time, instead of questioning “why I need so many jackets”? On pricing of alternative leather, it’s like “well, you know the price, hehehe, you know what you are doing, why ask me?”. WTH?? Just called, Dawn picked up. Dana is busy sewing. Dawn is always nice to talk to. It went well, I’m gonna send an email & request samples. JMax, El Marro, roadking04 and 1 other person like this. Please post them! I’d like to see what they are working with! so, this is a custom T2 from two years ago. 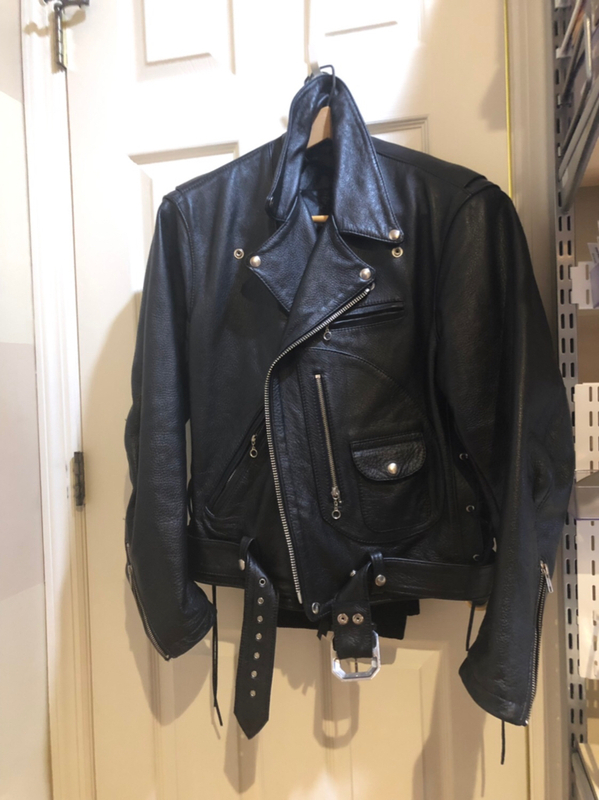 The leather is a German chrome tanned cowhide, it’s like the Vanson comp weight but much much softer, nicer than their Forenzi weight. Bates said this is what they use on competition suits (really?? ), but the tanner no longer has it anymore & now they are using something else. So let’s wait & see. I wanted something stiff but they keep saying they don’t have any. TREEMAN and dannyk like this. 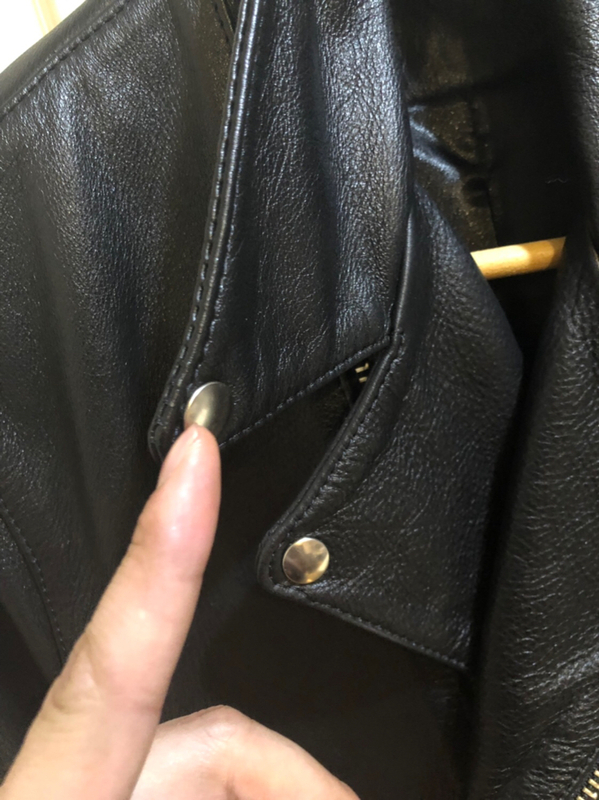 The idea of someone who is looking to buy a leather jacket as worn by the Terminator being afraid of talking to customer service to place the order is unintentionally hilarious. Put on your best Austrian accent, call them, and just say: "I need your clothes, your boots, and your motorcycle." Call naked if it helps get you into character. You can negotiate down to drop the boots and motorcycle. And if they cop an attitude with you, just tell them "Hasta la vista, baby." Dphillip, El Marro, Benny Holiday and 6 others like this. No bueno. I too am interested in seeing what they currently offer. Tks. El Marro, Lebowski, dubpynchon and 4 others like this. El Marro, Guppy, sweetfights and 3 others like this. LOL...so they won't be sending a samples?